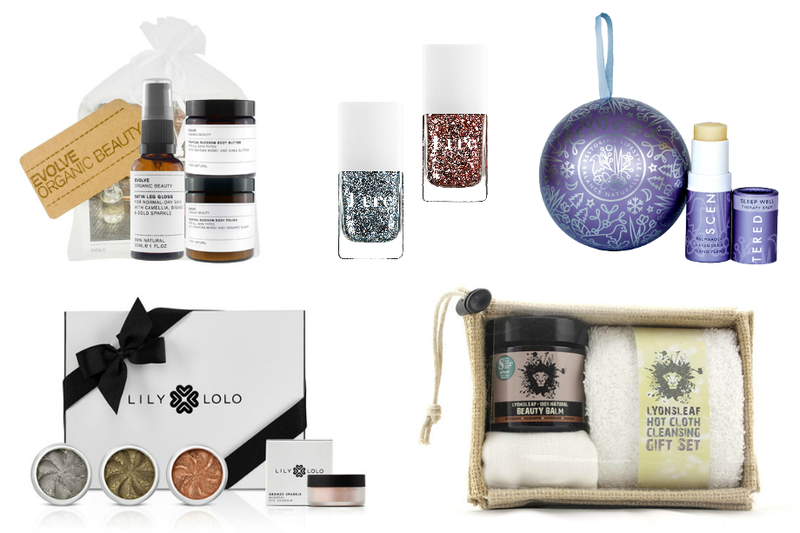 For the final part of this year's Christmas gift ideas, it's all about those slightly more budget friendly green beauty gifts priced at or under £15. If you're feeling particularly generous for the holidays, these could also be used as stocking fillers too! I can personally recommend almost all of these items since I've tried all bar one of these lovely brands before! Evolve have re-launched with a minimalistic look and new products this year so this sample set would be perfect for trying out their new bodycare collection. It contains 30ml luxury trial sizes of the Tropical Blossom Body Polish, Tropical Blossom Body Butter and Satin Leg Gloss - they sound like just the right products to bring back a little reminder of summertime! As soon as I heard about the new limited edition glitter collection from Kure Bazaar, I knew it has to go straight on this list! I'm very much partial to a little glitter on my nails over the festive period and it's definitely a welcome added bonus when the formula is up to 85% natural! You can find a selection of the glitter shades stocked at Fortnum & Mason, Flourish Beauty and Naturisimo. This is the only brand listed here that I've not had the pleasure of trying yet, but if the reviews are anything to go by, I'm sure I'd love them! Scentered create aromatherapy balms and are currently offering them housed inside re-usable Christmas bauble tins. The relaxing Sleep Well balm personally appeals to me most, but there's also Stress Less, Escape and Love baubles to choose from too. If you know someone who loves makeup, particularly eyeshadow, this could be the perfect gift! This gift set contains three full-size mineral eyeshadows in the shades Khaki Sparkle, Bronze Sparkle and Silver Dollar. These shimmer shades would be great for creating a statement eye look for those parties over the festive holiday period! Lyonsleaf are one of my absolute favourite brands and you really can't go wrong with one of their gift sets! This set features the Beauty Balm (reviewed here) packaged in a re-usable jute box along with a cotton flannel and muslin cloth. The Soothing Calendula gift set is another great budget friendly idea for soothing many skin issues. Looking for more Christmas inspiration? Check out my other gift ideas for her and for him! Gorgeous gift boxes I would love to gift these to my mom!